On Sale! 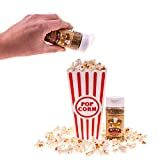 Up to 7% off on Popcorn Salt at Love for Salad, Page 2. 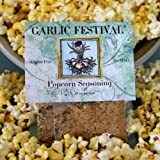 Top brands include Kernel Season's, San Juan Island Sea Salt, Urban Accents, Spud Spikes, Morton's, Yoder's Popcorn, & Garlic Festival. Hurry! Limited time offers. Offers valid only while supplies last. Urban Accents All Natural Gluten Free Premium Sweet & Salty Kettlecorn Popcorn Seasoning (Pack of 3), 2.75 Oz. Ea.